NBA legend and college basketball analyst Bill Walton knows a thing or two about basketball. He won two NCAA national championships under legendary coach John Wooden, is a two-time NBA champion, an NBA Finals MVP and an NBA MVP. 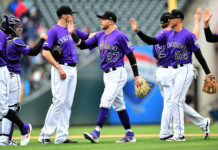 In advance of his appearance in Denver for the 2017 Jewish Family Service Executive Luncheon, he joined Les Shapiro and Eric Goodman of Mile High Sports Radio’s Afternoon Drive for an interview in which he shared his high opinion of Denver Nuggets big man Nikola Jokic‘s selfless play. “We’re going to be celebrating all good things in life, and I want to start today with Nikola Jokic because, wow, when I watch that guy play basketball, he epitomizes everything that Jewish Family Service organization stands for, which is service to others,” Walton said. 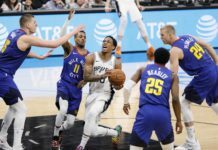 Walton went on to laud Jokic’s team-first mentality on the court. 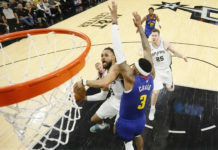 He compared it to that of NBA legends of Walton’s time and even one possible future superstar. Jokic was his selfless self again on Friday night, registering five assists on top of his 23 points and 12 rebounds in the Nuggets’ 122-106 win over the Pelicans. Walton will be joined by fellow Hall of Famer and former Detroit Pistons center Bob Lanier at the luncheon, which takes place at noon on April 28 at the Hyatt Regency in downtown Denver. 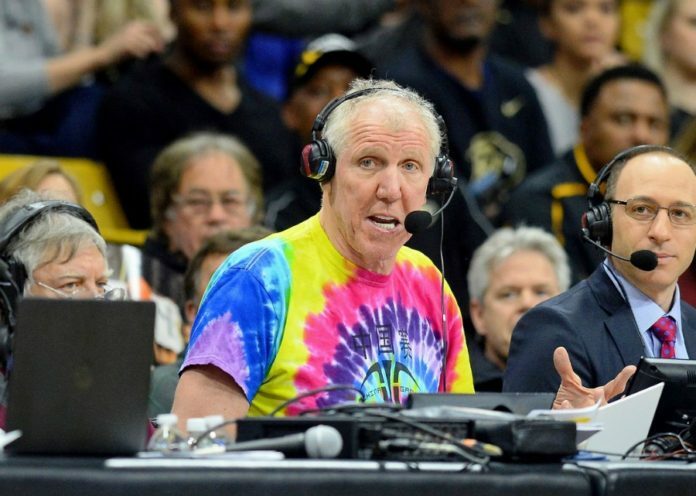 If you want to her his thoughts on LaVar Ball, or you’re just in need of a laugh, listen to the full interview with Bill Walton in the podcast below.